Green Valley United Methodist Preschool provides programming for children ages three and four years old. Children must be three years old by September 30th and trained in the use of the toilet. Children must be four years old by September 30th and trained in the use of the toilet. The Green Valley United Methodist Preschool accepts children of any race, color, national/ethnic origin or religion. A $75 registration/yearbook fee is due at the time of enrollment. At the time of enrollment, parents will receive a registration packet that must be completed and returned prior to the first day of school. 3-Year Old Class: Monthly tuition is $190.00. 4-Year Old Class: Monthly tuition is $265.00. 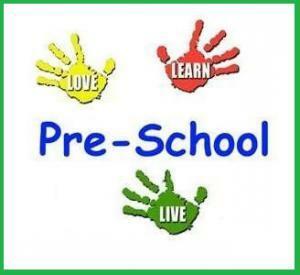 Our preschool is open Monday through Friday. Our classes begin the day after Labor Day and end the last week of May. 3-Year Old Classes- Tuesday & Thursday from 9:30 a.m. until Noon. 4-Year Old Classes- Monday, Wednesday and Friday from 9:30 a.m. until 12:30 p.m.